Whether for formal or casual dining, the Quilt Armless Dining Chair by Zuo Modern will make the right statement. This chair offers a sleek modern design with soft quilted leatherette upholstery. Available in two colors, the armless design allows for comfortable and relaxed seating. This beautiful high back seat has a sturdy frame constructed of chromed steel. 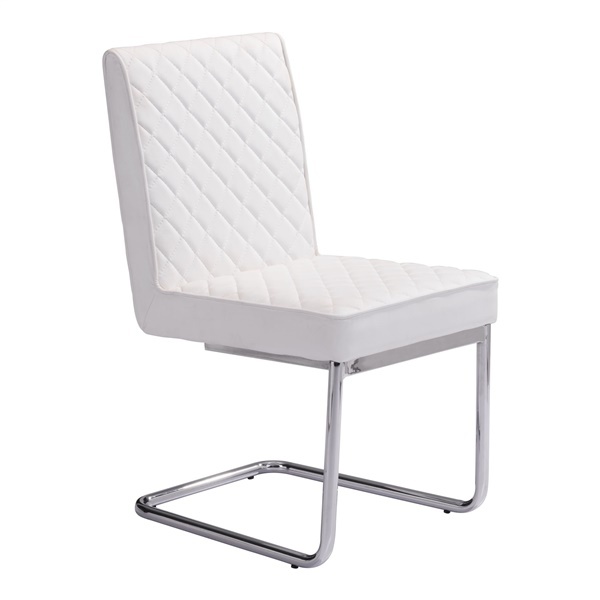 Use the Quilt Armless Dining Chair by Zuo Modern in your dining room, game room or den.